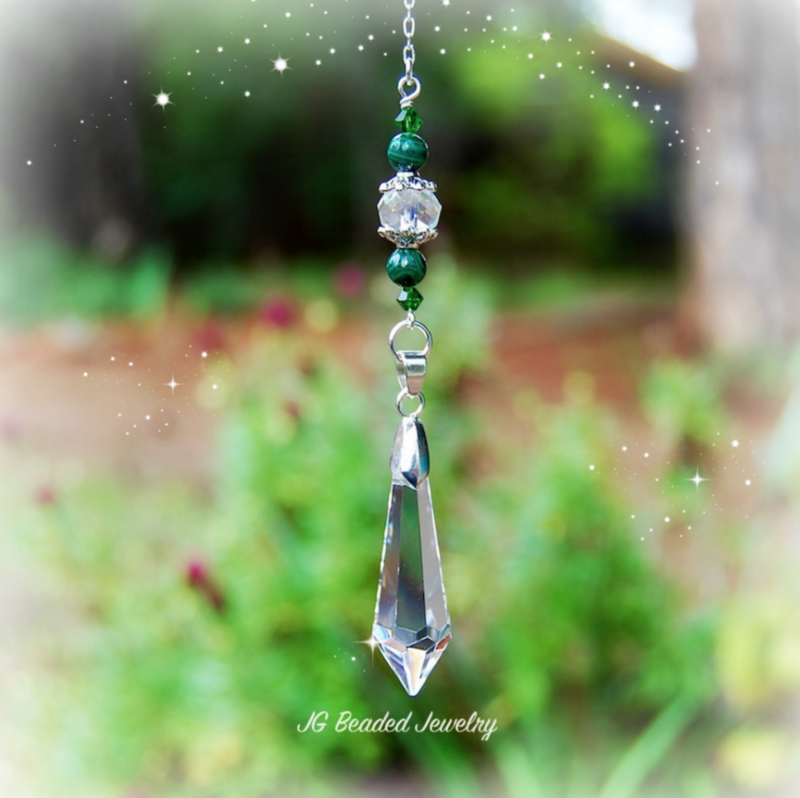 This malachite crystal teardrop decoration can be hung from the rearview mirror or in a window at home, the office or anywhere you choose! The malachite gemstones are a beautiful green and handpicked for quality. 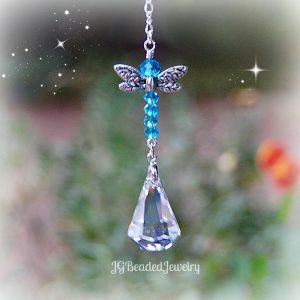 You will also find green Swarovski crystals which are the best of the best! Malachite is a stone of positive vibrations, balance and aids in releasing negative experiences.